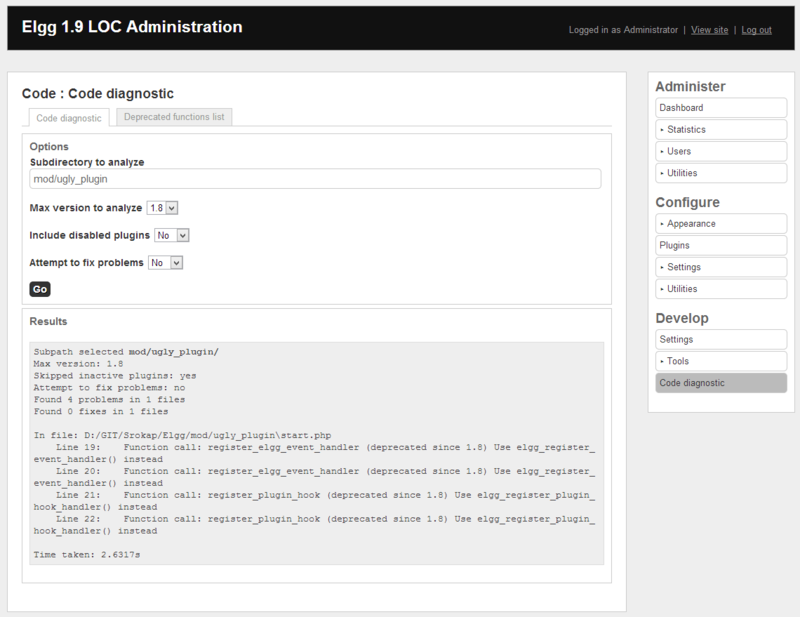 Plugin for PHP code analysis and refactoring of Elgg plugins. This plugin uses PHP Reflection API and even though it's listed explicitly in plugin requirements, it's a module that's bundled with all usual PHP deployments. If you're not doing anything fancy, no worries. Please report all issues with this plugin itself on it's project page on github. With issues found in analyzed plugins you should contact plugin author directly and give him all the details from analysis results.